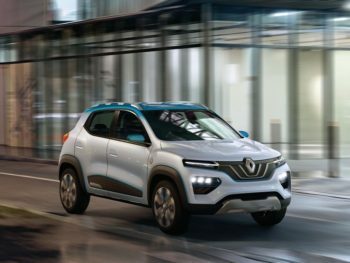 Renault will launch hybrid and plug-in hybrid versions of the Clio, Captur and Megane starting from 2020, enabling customers to “go electric without changing their habits,” according to group chairman and CEO Carlos Ghosn. Announced ahead of the Paris Motor Show, the new models will use a full hybrid system (instead of the mild hybrid used on the Scenic) developed in-house, called e-Tech. It’s likely the Clio, which is due to be replaced in the next two years, will use the system first. Ghosn also previewed a new electric car in concept form. The K-ZE is a Twingo-sized urban SUV, which will offer a 155-mile (NEDC) range, launching in China next year – the world’s largest and fastest-growing EV market. Expect a lower range in European form where (unlike China) WLTP is now used to test energy and fuel consumption for new vehicles. Renault, Nissan and Mitsubishi announced plans last year to launch 12 full electric vehicles across all segments by 2022, based on shared platforms and drivetrains.